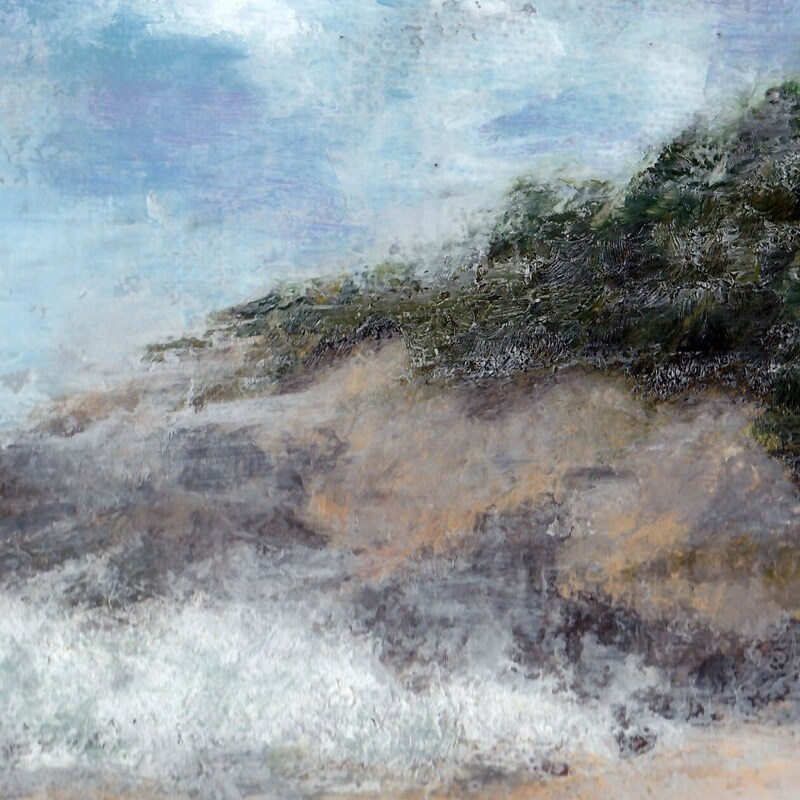 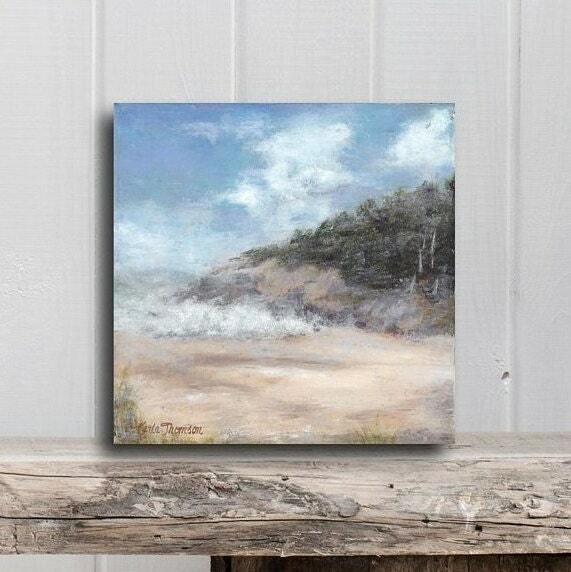 An original oil seascape painting of the rocky New England coast. 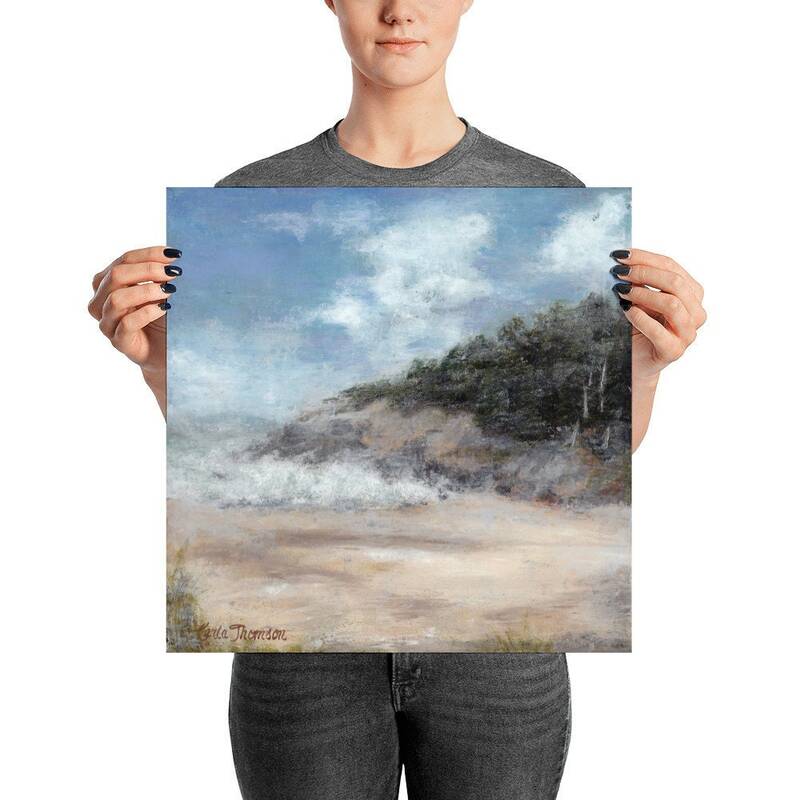 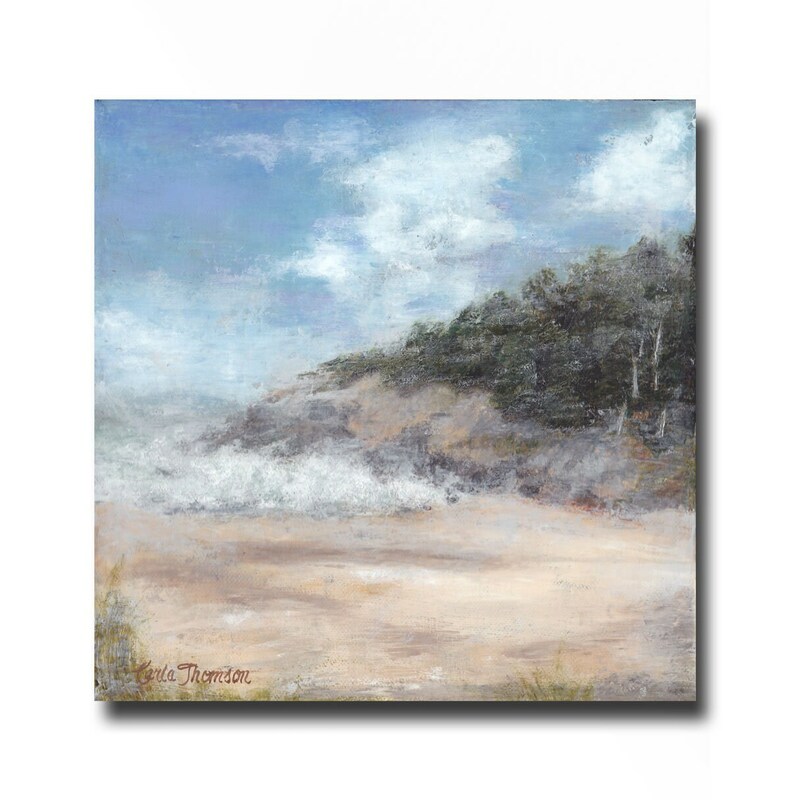 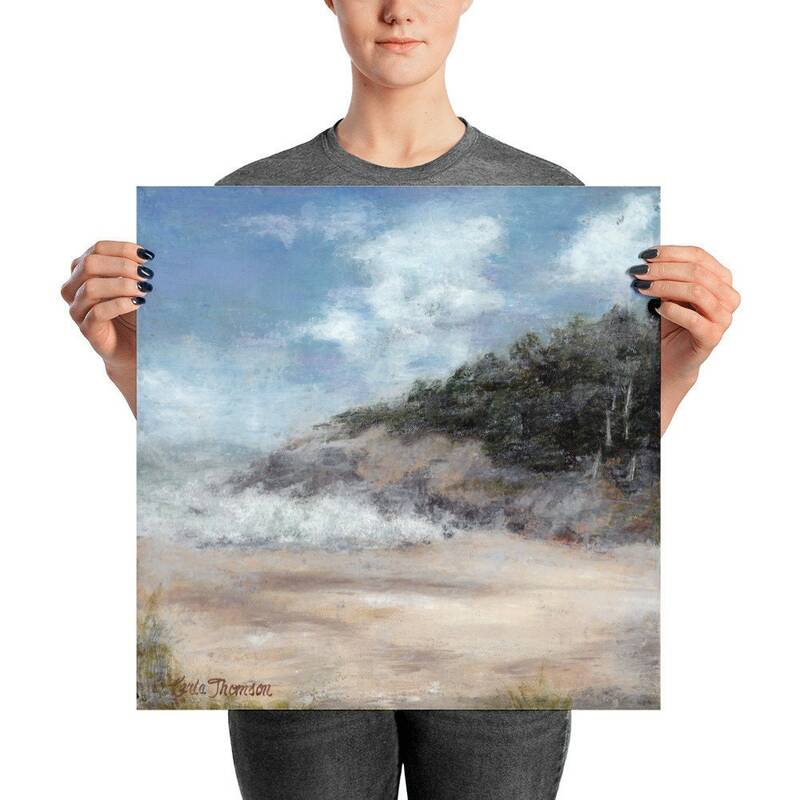 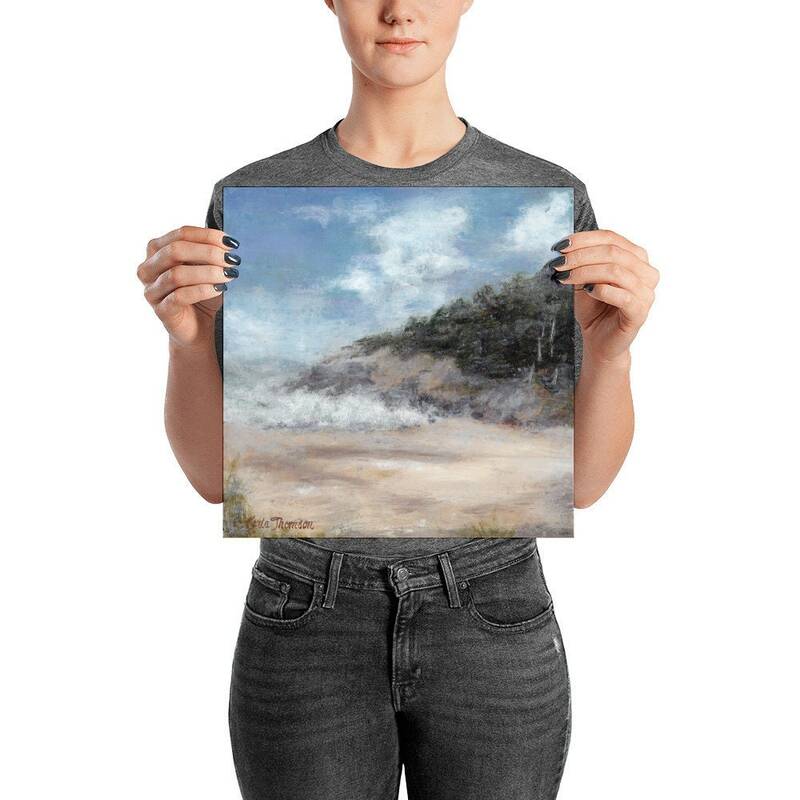 This oil painting landscape of waves crashing into the Maine seashore will bring the serenity of the ocean into your home. 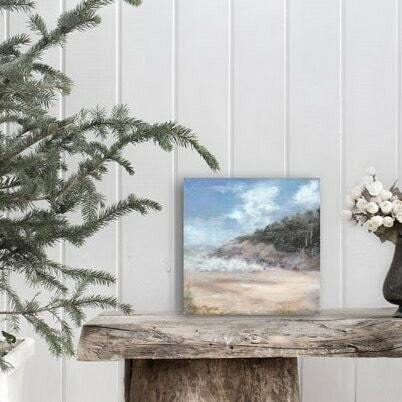 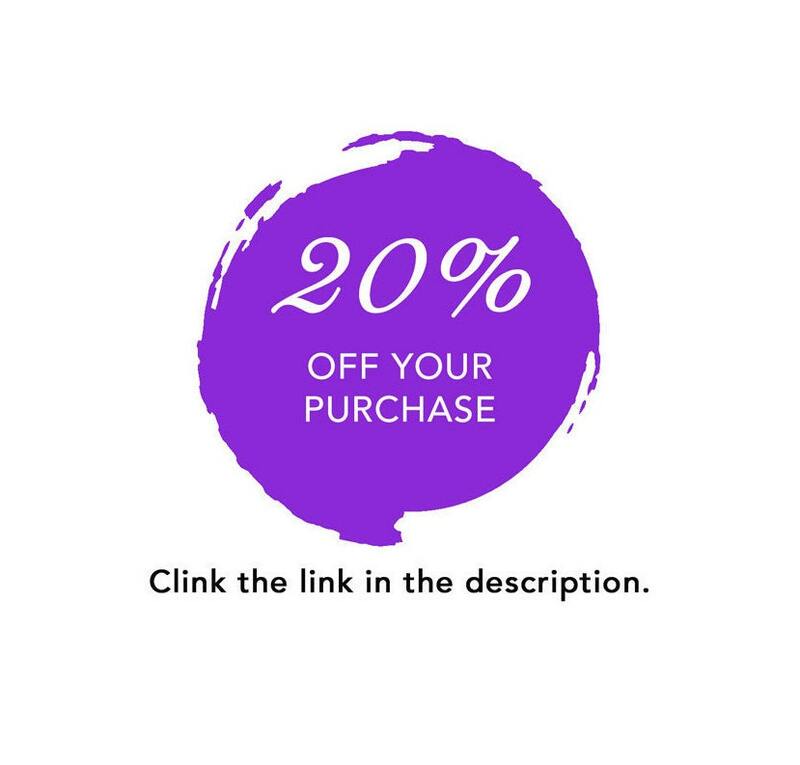 Frame it to suit any decor whether your style is farmhouse, rustic, boho or traditional. 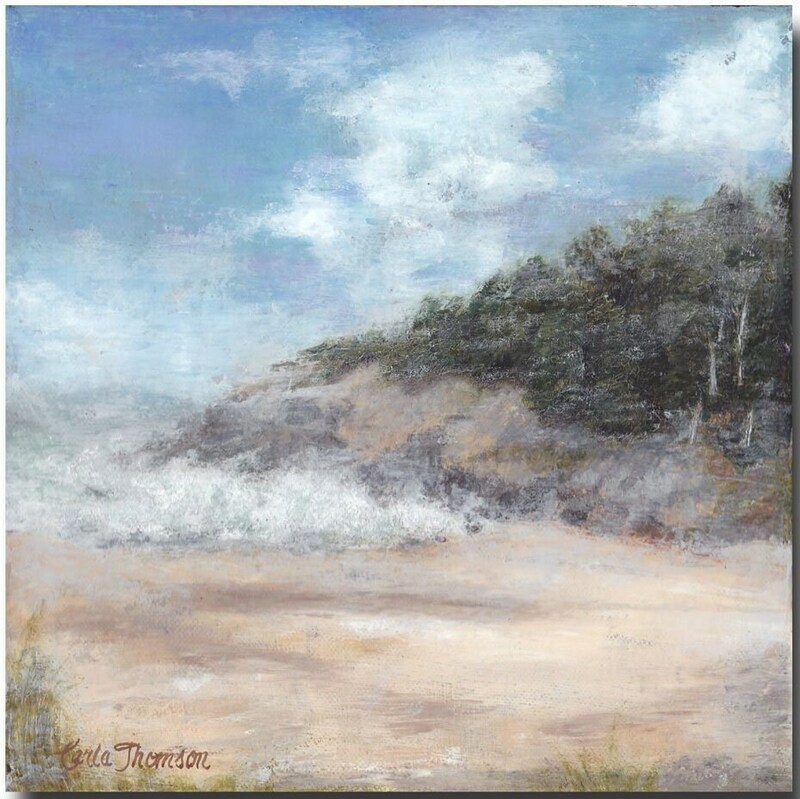 This painting is oils mixed with cold wax medium painted on canvas. 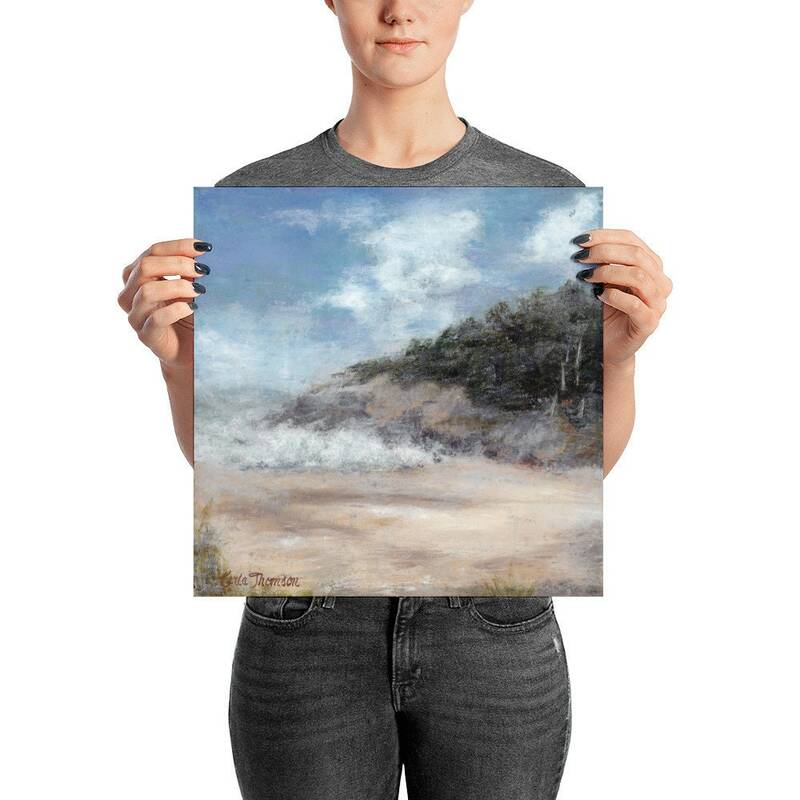 Cold wax is primarily a mixture of natural beeswax and provides a matte finish and on this painting a small amount of texture.